School lunches can be a total pain or really fun. Having the right supplies and simple ideas are all you need to make them fun to make and fun to eat. This one is for the perfect Valentine’s Day lunch for school. 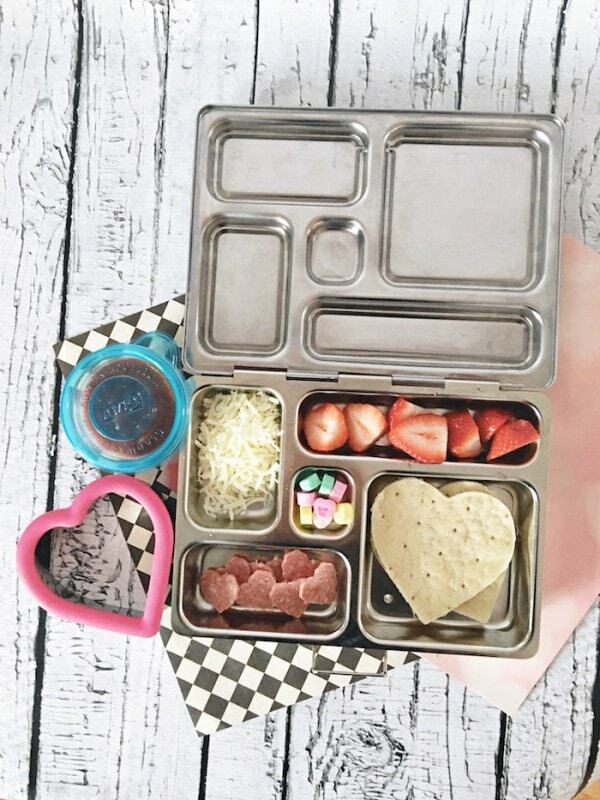 To make your own Lunchables, you really should invest in a good bento box. A lot has changed since I was in school. I remember Valentine’s Day being so much fun because we got to have extra treats that we shared with our friends at lunchtime. My mom and I would stay up late the night before making goody bags for all of my classmates that contained heart shaped cookies and candies. Now, with all the food allergies and intolerances, sharing treats with friends is a thing of the past. It’s understandable but really kind of sad. So, it’s up to us parents to put the fun and festivities back into school lunches! I’m totally obsessed with Bento boxes because they encourage variety. They are also a necessity for Lunchable-style lunches. 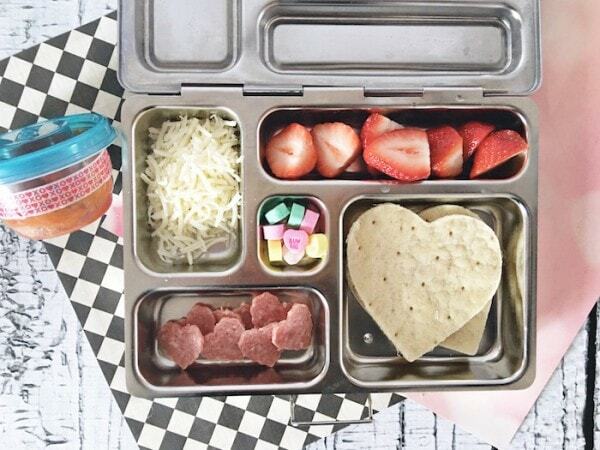 This Valentine Pizza Lunchable is seriously perfect for Valentine’s Day lunch for school. And it’s crazy easy. 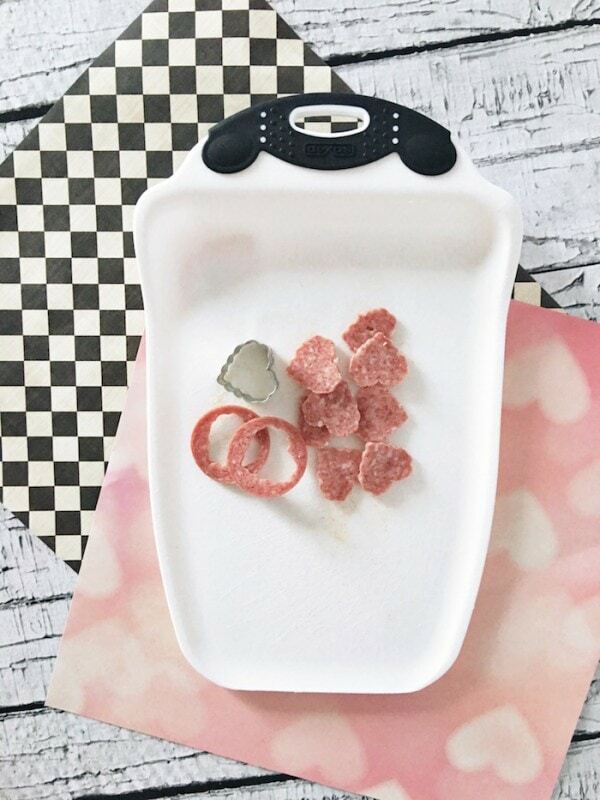 Then you simply, cut the meat using your heart shaped cutter, cut the dough with a knife or kitchen scissors, and fill the lunch box. Adding bright red strawberries and Valentine’s Day candy for a little treat adds the perfect finishing touch. 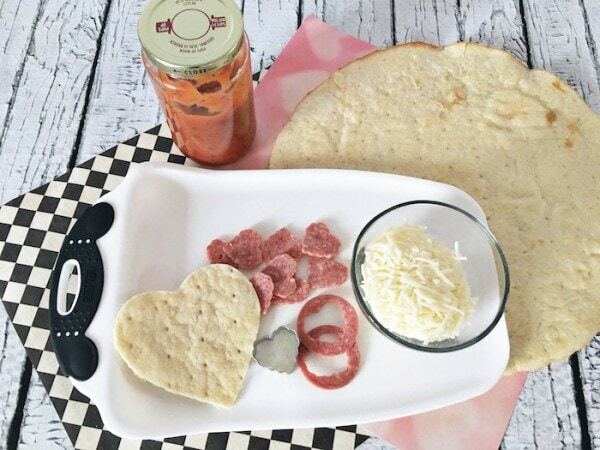 Your son or daughter will love being able to construct their own mini heart-shaped pizzas at school. It’s these little gestures that they’ll remember and look back on with fondness. Do you send a special Valentine’s Day lunch to school with your child? Cute idea to use cookie cutters. You can also write messages on the candy conversation hearts with a mechanical pencil. This is such a cute idea! Thanks for sharing. This is such a adorable idea! The strawberries are easy to make heart shapes too. Valentines M&M would be a fun treat in here too. Cute idea to use cookie cutters. I like this idea! I want to make some of these ideas. i want to gtry out these ideas for a party ia m having . it would be lovely idea to mke withhthe kids . This is an awesome valentine’s day lunch.